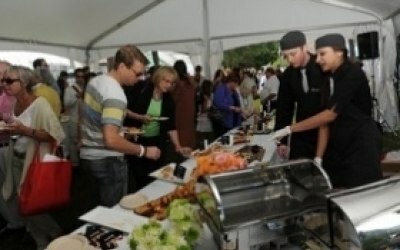 We offer high quality catering, from fine dining to BBQs or hog roasts to full bar facilities (with catering). We use British meats, artisan bread rolls and locally sourced fresh produce. Our chefs make all the salads and desserts. We do a great paella and for vegetarians, ratatouille or roasted vegetables in foil package with grilled halloumi. In addition to fine food, we provide sauces, napkins, plates etc. 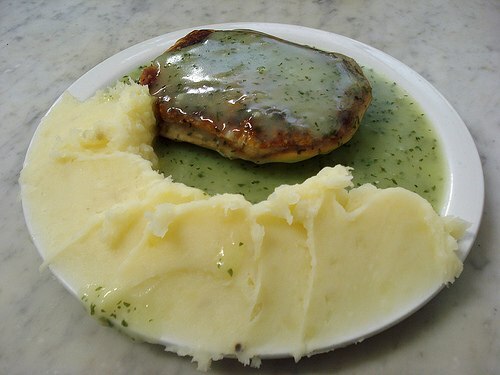 We pride ourselves on our fine quality food and service and just added Pie and Mash and liquor (gravy). Level 5 hygiene certificated and insured for 5 million. The chefs are certificated in food safety and hygiene, we work to ISO standards and run a full bar with the food. 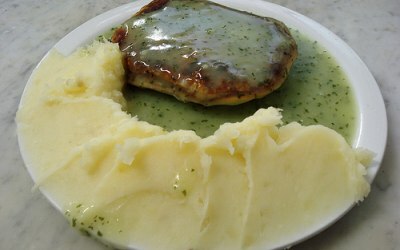 We supply Pie Mash and special Liquor. Baked beans or Mushy Peas, 9 different pies to chose from including a vegetarian pie. We are happy to do Sausages in place of pie. We cater for the Jellied Eel lovers. We can also offer Deserts, Tea and Coffee. We do Burgers or Fish and chips. We can also supply Cornish Pasty and Sausage Rolls. 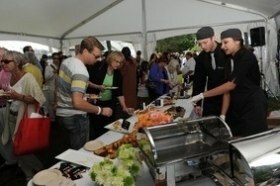 Your Chef will serve you to make the party/event for you a non stressful time. If your event has a sit down meal we will supply Waitress to serve you. We had the pie and mash service from Bob and his team and I have to say the food was excellent. They arrived and set up a few hours before the event and only needed a bit of water and an electricity outlet. The food service was quick and efficient, everyone really enjoyed it. Communication is not a strong point though, I had to ask for an invoice the week before and had no contact to confirm everything was in hand. There was also a slight breakdown in communication with regards to the split of veggie versus meat pies but these are just little things which really didn't effect the lovely day. Excellent food, great value for money, keen to go! Easy to deal with on phone and food was excellent - great value for money. It was a surprise 18 birthday for my son and we agreed he'd be set up before guests arrived (7 to7.30) and my son at 7.45 and we'd serve food from 8.15. At 8 Bob said food was ready to serve and so we agreed to start serving early. We had 80 18 yr olds who at this point were only interested in the bar - a few ate their pulled pork in buns (which was delicious) but Bob started to get quite impatient and suggested that we should turn the music off to try to get them to eat! It felt like he just wanted to serve up and get home quick. We agreed for him to leave the meat etc and we'd serve up later he left before 9. Real shame. Bar Rah stayed well past their finish time! I would recommend this service for a party. Food was delicious. It was hassle free and really great. Pity about the weather but just goes to show that you can still have fabulous food in the pouring rain! Great communication from Bob prior to the event. All the food was lovely and great quality vs price. Would recommended to anyone organising a big event. No delays in arrival or food serving either. Bob and his lovely wife arrived early and were set up in no time and all ready to go. The food was fabulous and served exactly on time. Really made my 50th Birthday Party one to remember! Would highly recommend. Thanks for such good prompt replies to my queries. We used Bobs Hogs for our son's wedding. Right from the initial quote to the actual day Bob was so accommodating and friendly. On the day he was punctual, pleasant and his team cleared plates away and were friendly and courteous to everyone. . The food was delicious with salads and sauces galore and so tasty with plenty to go round. The crackling was amazing. It was a real pleasure to provide the catering for a lovely group and the happiness and kindness was great, Thank You. Very friendly staff, plenty of food. Overall service and food very good. Only aware on the next day that the Vegetarian option was different to expected ! Also childrens picnic bag not given out to them. Not enough plates brought to venue but staff managed to wash plates that were finished with in time to serve the last few tables. I cannot complain as the staff were covering for Bob as he was unable to be there due to illness. All in all they were great, very friendly and obliging. The children's picnic Boxes were on a table for them to collect and the Hot Dogs were at the buffet table,(Keeping warm) There seemed to be more attending than booked hence the slight delay with the plates, The guest was very nice and friendly, The event was a great success and we enjoyed the time we spent there. Bob was prompt on arrival, friendly & courteous. Bob’s set up was very professional & well presented. The hog itself was delicious as were the salads. The children’s food boxes were a lovely touch. We were delighted to have met such lovely people, kind and courteous and made our job a delight to do. Bob and his partner were extremely flexible and helpful during the party planning process as well as on the night. The food was great and everyone thoroughly enjoyed it - I had none let by the end (even though there were plenty of leftovers)! Get quotes from Bob's Hogs and others within hours.